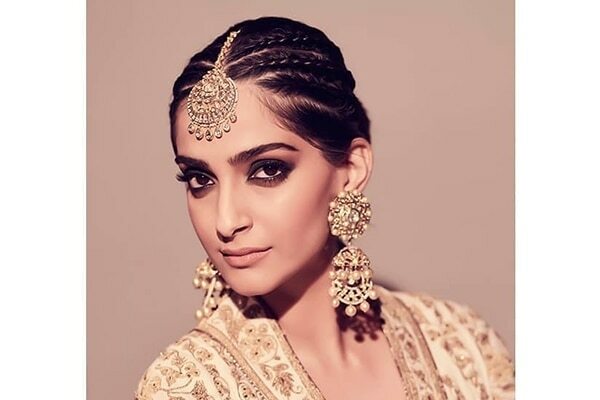 It isn’t style until Sonam Kapoor Ahuja says it is. She is always pushing the boundaries of fashion and beauty and making us sit up and take notice of styles and makeup looks that we would not have imagined before. She did it again when she styled her hair in a bun, but it had a scarf woven into it to create a wonderfully bohemian look. 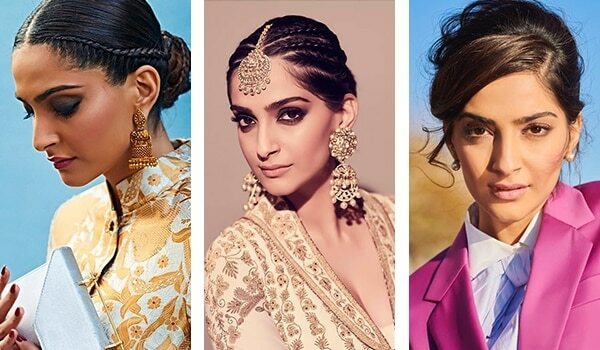 She has mastered the art of teaming edgy boho hair with traditional outfits. 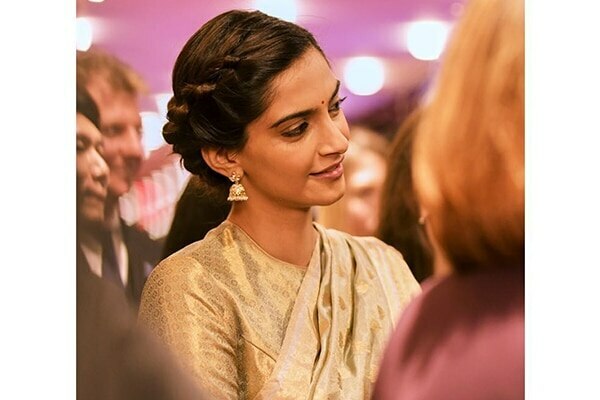 Here she does it again with water-fall braids down the side and a low bun. 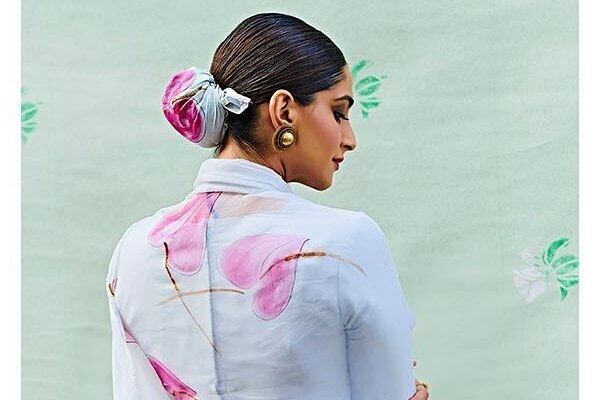 Use your scarf in new and innovative ways, Sonam shows you how! Tie a scarf around your bun for this chic look. Protects your hair from the sun, too! Add volume to the crown of your hair and tie it in a bun. Leave a section in the front and sweep it to the side for this contemporary take on a retro hairstyle. Carefully braided cornrows tied back into a low bun, accessorised with a statement maang teeka. Need we say more? She has a soft corner for braided buns and we can see why! It looks so darn good on her! Section your hair to the side and braid it thickly and tie it in a low bun.